We are conveniently located on the corner of Westcliff Drive and Irvine Avenue in the Comerica Bank building, across the street from the Ralph's shopping center (sharing a parking lot with Kean Coffee and Susie Cakes). We are elevator accessible on the second floor. You will find ample parking in the parking structure next to Kean Coffee. Right turn onto Dover Drive. Left turn onto Westcliff Drive. 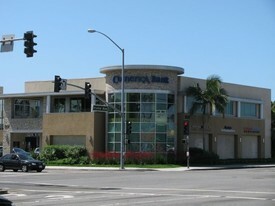 Office is on the left just before Irvine Avenue. South on the 55 Freeway until it ends and turns into Newport Boulevard. Left turn onto 17th Street and drive 1 mile. Office is on the right just after Irvine Avenue. Campus Drive turns into Irvine Avenue after crossing the 73 Freeway. Drive west 3 miles on Irvine Avenue. Office is on the left after crossing Westcliff Drive.